Who is Cheryl Spieth Gardiner? Personally and professionally, I am known for my heart - for my courage to step out of my comfort zone and helping others to do the same; for my strength and for my ability to feel – an intense enthusiasm for life, profound positivity and an innate intuition. Heart is all about communication and connecting – with others, with ideas and even with ourselves. As a coach, a trainer, an artist and a healer, I make things happen for myself and help others to do the same. 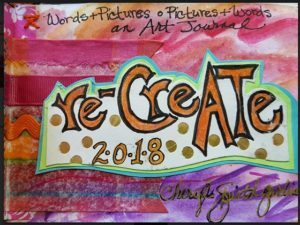 I am inviting your to re-CreATe, Second Wednesday Creativity! The above is the dedication at the beginning of my published small book. This is also the purpose and the reality in these upcoming sessions of creativity. We know very well about our responsibilities and things that have to get done. I am inviting you into a playful exploration of creativity. We will be playing, not working, to minimize responsibility and maximize joy. You will be encouraged, and hopefully inspired, to be bold, to play, to have fun and to let your imagination run wild! It is a play-date for yourself! Our first re-CreATe, Second Wednesday Creativity . . . Copyright © 2007-2018 Cheryl Spieth Gardiner. Photography by Joy Justice. Web Design by Detailed Web Design.